You probably use mobile applications every day. You may even be reading this from a smartphone right now. No matter your own mobile app usage, you’ve probably realized by now that your clients and customers are on their phones all the time. Why not take advantage of the technology and use mobile app development to boost your own business? Plenty of the major players have already realized the benefits of mobile app development. Many have significantly added to their revenue through mobile technology. There’s no reason why your business shouldn’t have the same advantages. We’ve listed some of the top benefits of adding mobile technology to your software. Take a look at some of these advantages, and when you’re ready to add mobility to your business, Ayoka is ready to help. As we mentioned, your clients will likely almost always have their phones nearby. If your customers are like most of the general population, their phones are never further away than a few feet, even while they’re asleep. Mobile software gives you the opportunity to make use of this convenience. When your clients have your technology right on their phone screens, they won’t have to work hard at all to reach you. They’ll have the ability to purchase products or services within a few moments. Mobile application development gives your clients more convenience than when they reach your business through your website, even when they reach your site through a mobile browser. For some businesses, convenience is everything, and that extra convenience can give your company a serious boost in sales. 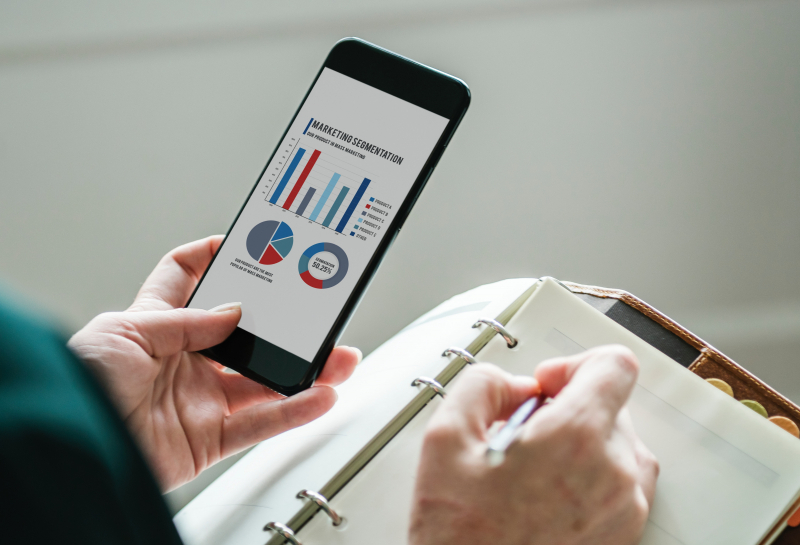 They key to a good marketing campaign is getting to know your client base, and what better way to do that than through mobile app development? Through this technology, you can gather and use data about your customers and their buying habits. For instance, you may notice that some products sell better in some locations than in others. Some customers may leave items in their cart, hesitate before making a purchase, or engage in other specific buying patterns. You can use this information to create the most effective marketing campaigns for your clients. You’ll stop spending money in areas that don’t work, and you’ll put your marketing dollars to better use, giving you a better return on investment. Mobile app development gives your business heightened visibility. Think about the other businesses that compete for your clients’ attention. What if you could bypass all of them to put your company’s name at the forefront of your clients’ minds? That’s exactly what mobile technology can do for you. Ordinarily, your customers have to see a lot of different names and icons before they reach your company’s name. They see the name of their internet browser and the name of a search engine before they reach your website. In that time, your competition can grab your clients’ attention, diverting them from your website. With a mobile app, your customers will bypass that process and go straight to your business instead. By getting your brand name ahead of the competition, mobile app development helps you build customer loyalty. You can also use the technology in other ways to build that loyalty. For example, you might offer special promotions and discounts just for customers who use the app. You could also offer a points system that rewards customers for making purchases. When you reward customers for using your brand, you’ll build brand loyalty. Mobile technology gives you unique opportunities to secure your customers and keep them coming back for more purchases. Mobile app development opens communication channels between your brand and your customers. Human customer service reps are invaluable to any company, but humans do have limitations, and mobile technology can supplement your customer service base. Mobile apps can provide your customers with the satisfaction of being able to reach your company at any time. Furthermore, this technology gives clients and customers a clear, easy way in which to reach you. A frustrating customer service experience can turn away any customer, so why not make the process as easy and straightforward as possible? If you’re interested in bolstering your company with mobile app development, Ayoka Systems is here and ready to help. Based right here in Texas, we develop custom solutions for complex software needs. Technology evolves quickly, so allow us to keep you from falling behind. We can provide you with the scalability and specificity that your mobile app will need to help your business thrive. Ready to get started and see all of the benefits listed above? We’d love to work with you. Contact us today to start talking with us about your software needs.